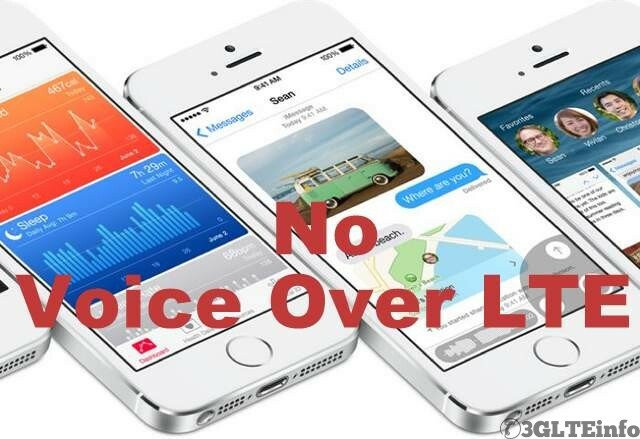 Apple IOS 8 and VoLTE – Is iPhone 6 going to have Voice Over LTE? Apple announced iOS 8 early this week in a grand event. While there are many visual and other non-wireless features presented in WWDC 2014 there was definitely some parts which was for us those who work in mobile space. Apple announced that they will support WiFi calling in IOS 8 and that is a welcome move. But as we all know WiFI calling is a old technology, infact T-Mobile is providing this from past couple of years. After the announcement that Apple will going to give software support on WiFi calling T-Mobile and Roger Wireless extended their hand and officially stated that they are going to support Apple. WiFi calling is a great technology which help subscribers to do voice call over a wifi network without thinking about call limit or roaming. Means wherever you are in the world you can do cheap calls over wifi network. Most of the technology magazines and blogs forgot to mention one simple thing that other Android and Windows phone manufacturers providing WiFi calling from quite long time and there is nothing great about this latest announcement from Apple. Also one of the big thing everyone forgot to ask, whether Apple is going to Support VoLTE in next iPhone. Now you ask me why VoLTE? VoLTE is the next generation voice application and almost all the big investments are happening in this area when it comes to bring voice over LTE’s all IP network. But no mention about VoLTE did not surprised me at all. This is because Apple is not the company which take risks when it comes to mobile connectivity. When the whole world was providing 3G services Apple first iPhone was launched only as a GPRS phone. And history suggests that Apple never took a chance to try out latest mobile technologies. There is a report in GiGaOm that Apple is bringing VoLTE as it is bring WiFi calling. The reason they gave that both these technologies are over IP network so both are similar. On my opinion they did not do simple google search to know what are the basics of WiFi calling and VoLTE. You can read my comment in the story as well. What do you think? Will Apple bring VoLTE to iPhone 6 or it will again play the wait and watch game? If you want to know more on VoLTE (Voice over LTE) check VoLTE Tutorial.